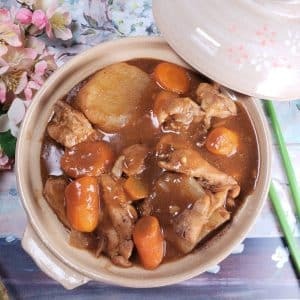 Instant Pot Pressure Cooker Japanese Chicken Curry is comfort food. 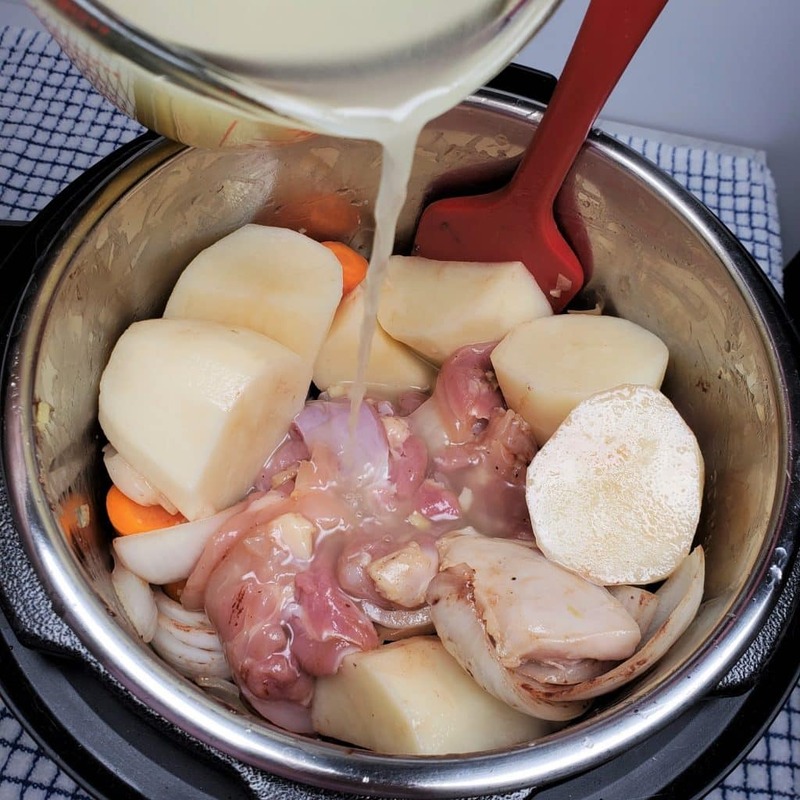 Simple recipe with just a few ingredients dumped into the Instant Pot, Mealthy MultiPot or Pressure Cooker. With only a few ingredients and your Instant Pot DUO Plus, Mealthy MultiPot or Pressure Cooker, you can make this pure comfort food in under 30 minutes. The Instant Pot Pressure Cooker Japanese Chicken Curry recipe is basically a dump and push start recipe. As you follow along and prepare the ingredients in the order listed, you simply dump them into the pot and then close the lid. It’s really easy to make your own Roux, but this boxed stuff is just so much more convenient. House Foods Vermont Curry, Golden Curry and Java Curry are the brands I use most. 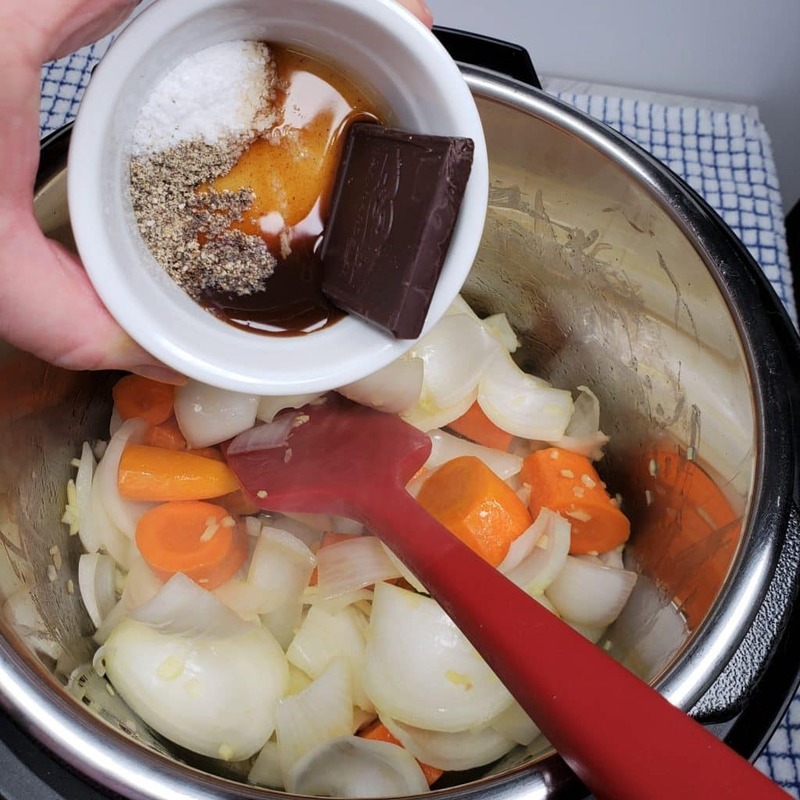 I’ll show you how to make your own Japanese Roux in a Instant Pot DUO Plus, Mealthy MultiPot or Pressure Cooker and then you can decide. 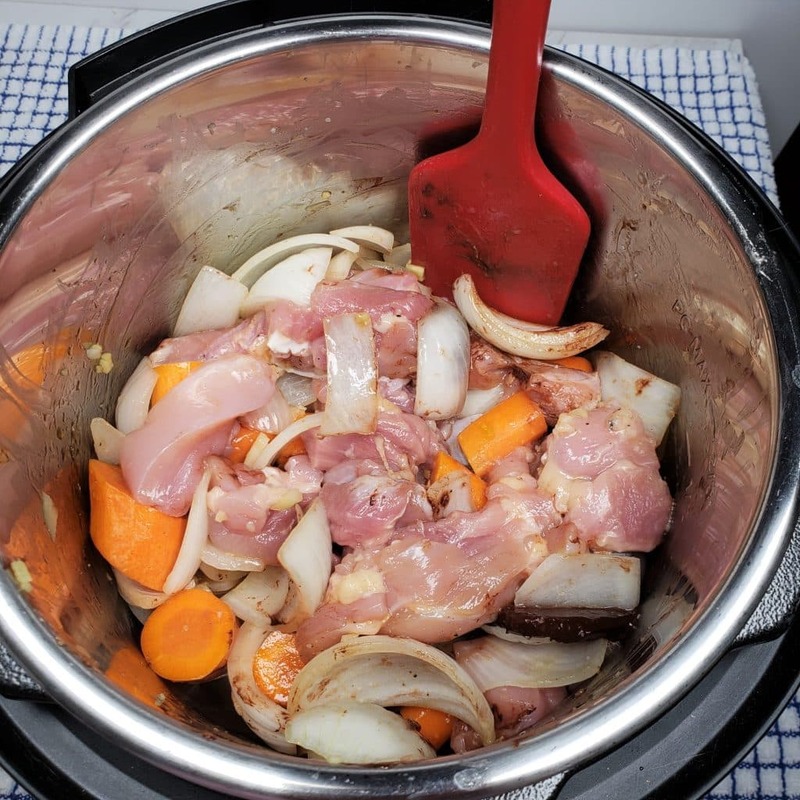 Ingredients for Instant Pot Japanese Chicken Curry. 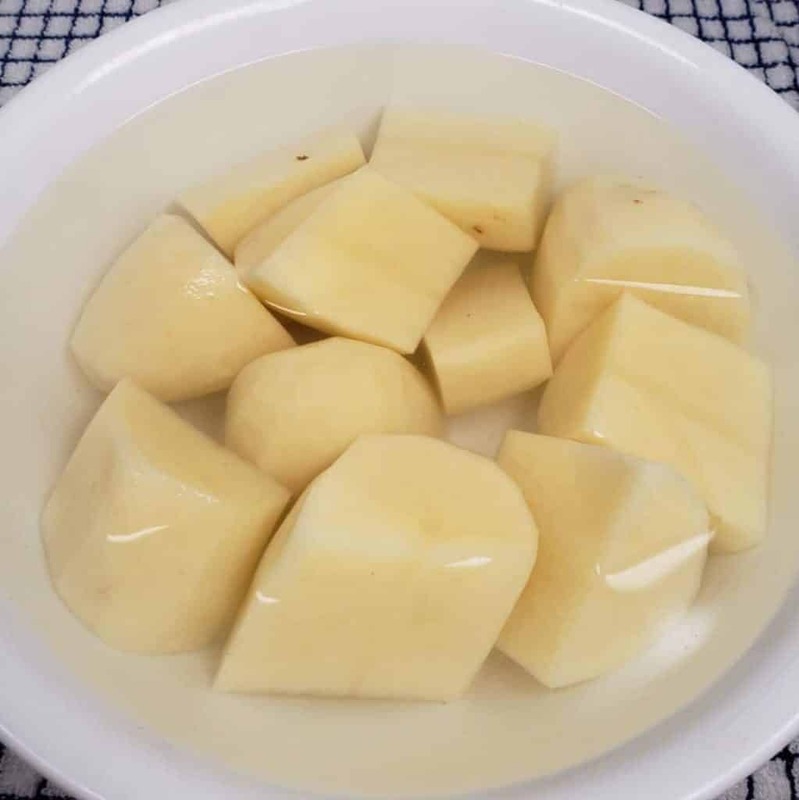 When cooking with peeled potatoes, it is important to soak them in water before using. Why Soak Potatoes in Cold Water? Starch is what makes mashed potatoes gummy and pasty. See my recipe for the best mashed potatoes of your life. Soaking the potatoes in water prior to cooking will remove some of the excess starch. In my Air Fryer Potato Latke recipe, that excess starch is used in the recipe! It will also prevent potatoes from sticking together, when making Air Fryer French Fries or deep frying. This process will also prevent the oxidation of the potatoes, which causes them to turn brown.Cut potatoes begin to turn color rather quickly. Potatoes can be soaked overnight if necessary, but 30 minutes is all that is needed. 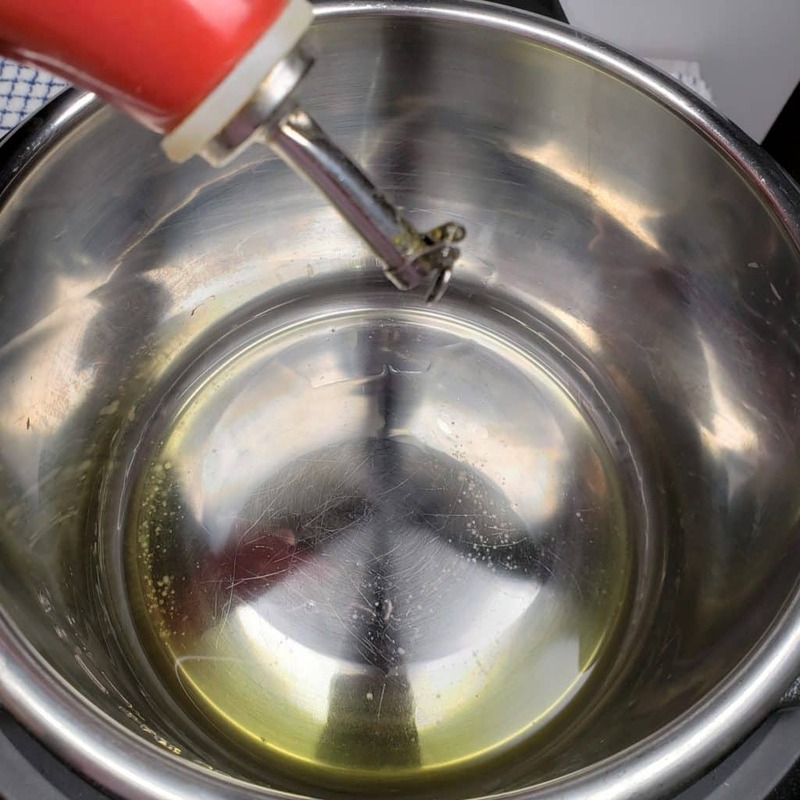 Oil is always added to a preheated pot. This gives you some time to cut the veggies. For this recipe, a neutral oil like Grapeseed or Vegetable is optimal. The ingredients get added, as they are prepped. Grab a di Oro Living Silicone Spatulas Set and just give them a toss in the oil. 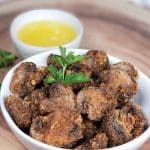 With my customizable recipe and technique, your curry can, if you choose, have a new flavor profile, each time it is prepared. 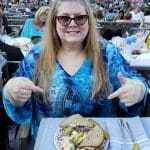 There is a trick, taught to me by my friend Mona and wow, what a difference! Fresh Garlic and Ginger Root are very often added in equal amounts. My Homemade Ginger Garlic Paste is very handy to have on had in the refrigerator at all times. I kid you not, years ago, when I first made Japanese Curry with the packaged blocks, I hated it. It wasn’t until years later that I learned why. 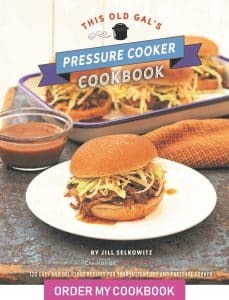 see my Pressure Cooker Japanese Beef Curry recipe for more details. 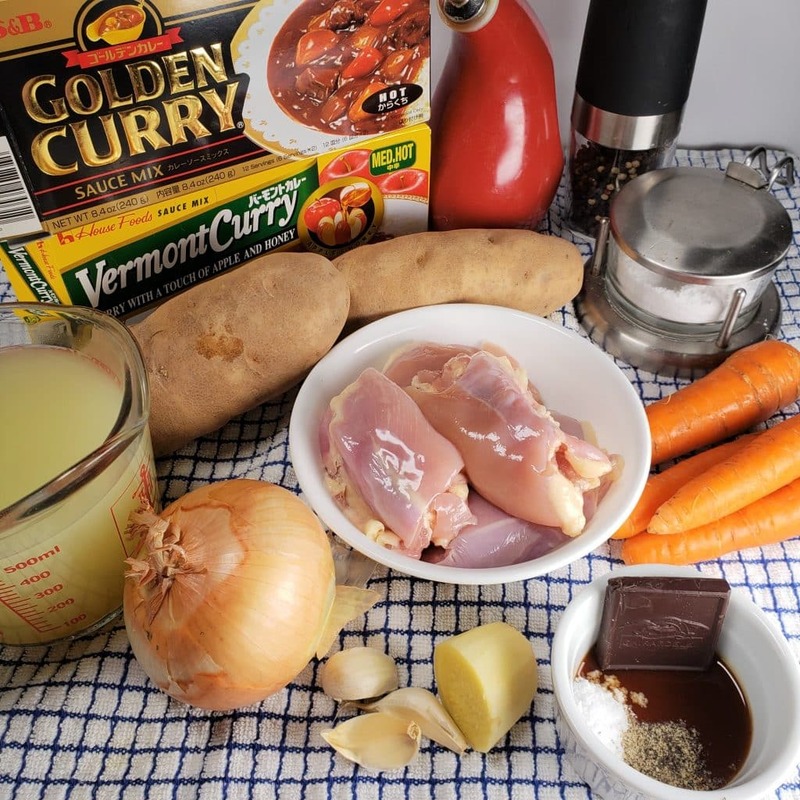 Suffice it to say, every good Japanese Curry has a couple of extra added ingredients, so that the curry will be delicious and different from your neighbors. 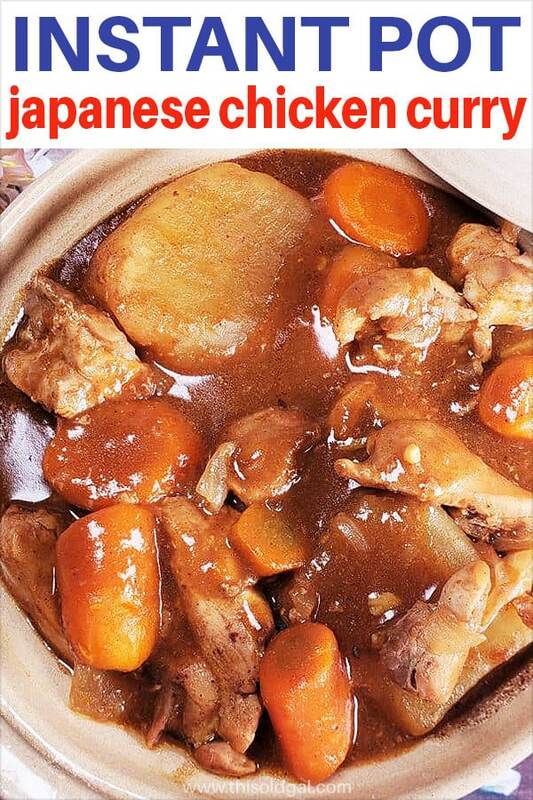 Delicious Japanese Curry Extra Ingredients. Shaoxing Wine – It’s Chinese, but who’s counting? Peanut Butter – I like this in Fish Curry the best, but yummy in pork, beef and chicken too. Choose 2-3 ingredients from the above list each time you make this Pressure Cooker Japanese Chicken Curry recipe. 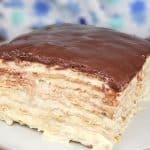 For this recipe, I chose bittersweet chocolate and Tonkatsu Sauce. If you use a sweet milk chocolate, then a salty second choice, like oyster sauce would be great. 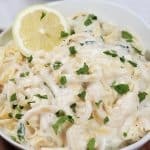 One of the great things about this recipe is that you toss stuff into your Instant Pot DUO Plus, Mealthy MultiPot or Pressure Cooker as you are prepping! Prep the potatoes before doing anything else. 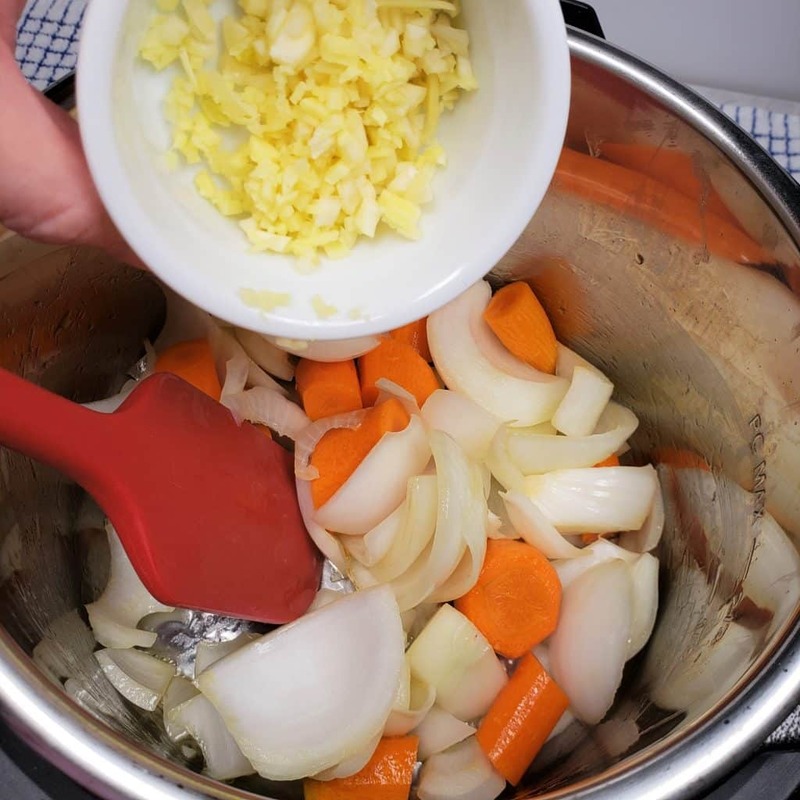 Set your Instant Pot DUO Plus, Mealthy MultiPot or Pressure Cooker to Saute or Browning (or turn on for those without multicookers) once you are ready to prep the ingredients. Wait for the pot to heat before adding oil. Toss ingredients (in the order listed) into the pot as you prep. 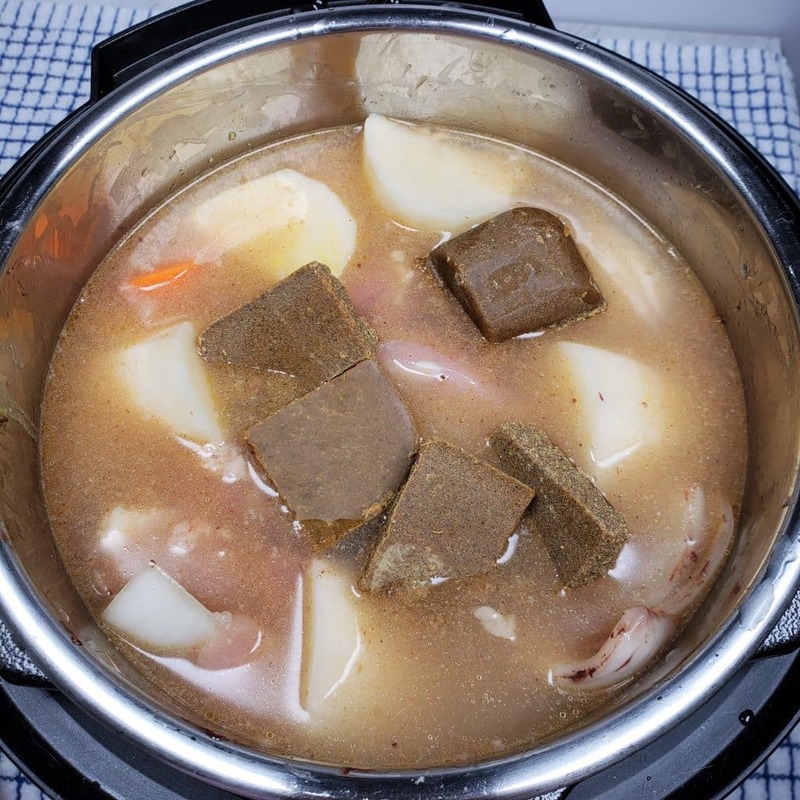 Use two different brands of Japanese curry blocks and mix the heat factor. Cook the rice with my Pressure Cooker Pot in Pot Rice method. If using a chicken base, like Better than Bouillon Chicken Base, I like to do about 1.25 teaspoon to one cup of water. The flavor is more intense and just really yummy. 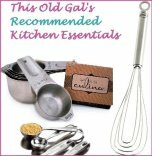 Grab a measuring cup and a my favorite flat whisk and mix it up well. 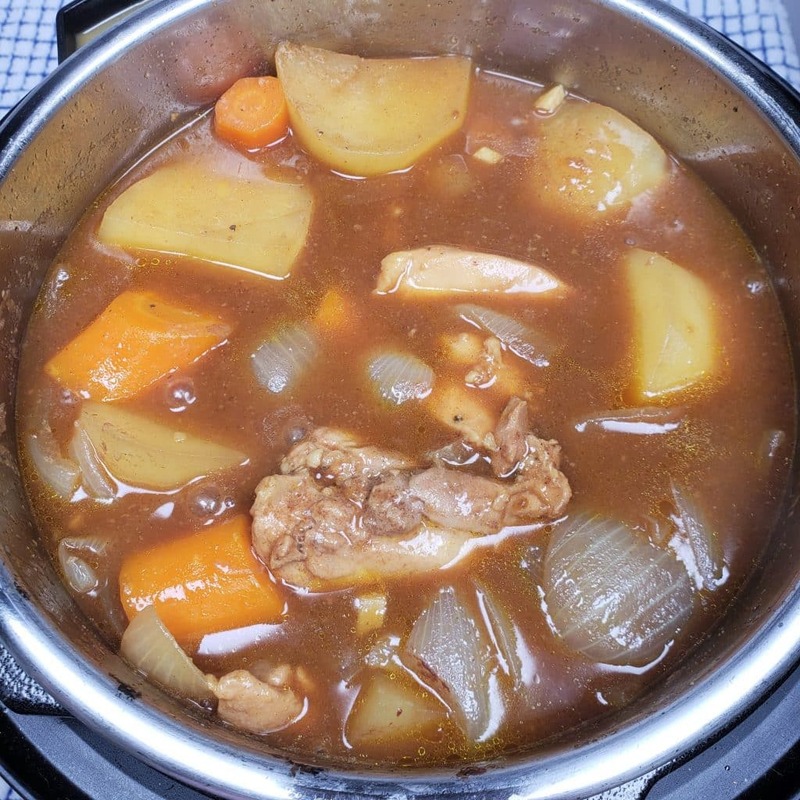 Pressure Cooker Homemade Bone Broth, obviously is dynamite in this Instant Pot Pressure Cooker Japanese Chicken Curry recipe. Try the extra hot and mild, for instance using these brands – House Foods Vermont Curry, Golden Curry and Java Curry. 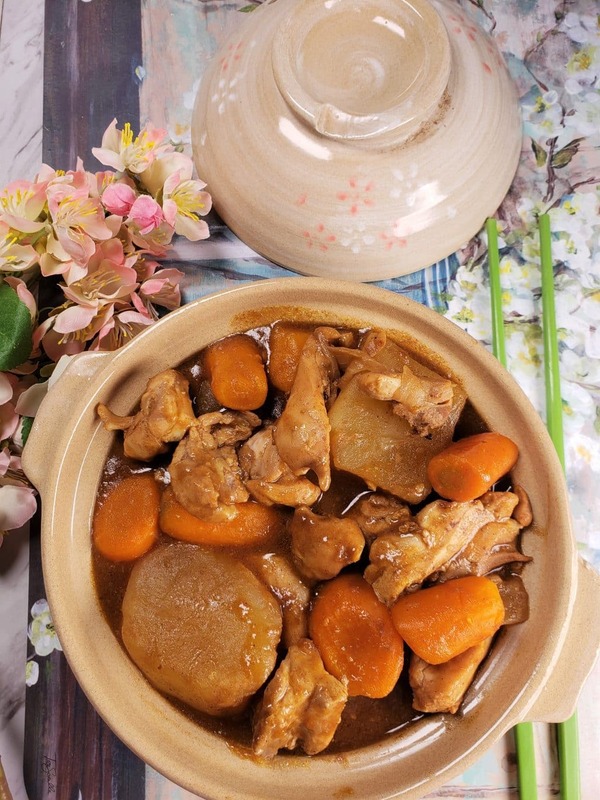 Turn this Instant Pot Pressure Cooker Japanese Chicken Curry recipe into a one pot meal! 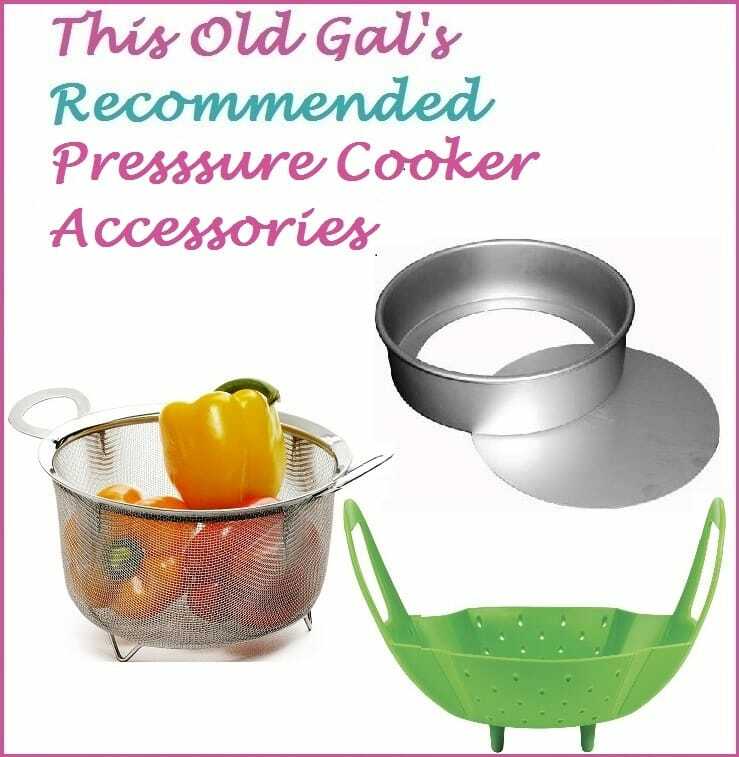 If you are making this a one pot meal using my Pressure Cooker Perfectly Cooked Pot In Pot Rice recipe, you will just need these two accessories. One Round Pressure Cooker Stainless Steel Insert and a Stainless Steel Tall Legged Trivet/Steamer Rack. There is enough liquid in the pot to perfectly cook the chicken and veggies. The curry blocks, nicely mix in and thicken the curry. You must serve this over Jasmine or Calrose rice. The sauce is so incredible, you will want to eat just the sauce with rice! 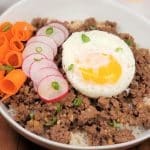 More Delicious Instant Pot Japanese Recipes to Try. House Foods Vermont Curry, Golden Curry and/or Java Curry. Peel and quarter potatoes and place them in a bowl with cool water. Let soak for 20 minutes and then start preparing the ingredients. Select Saute/Browning on pressure cooker and allow to fully heat. Once hot, add oil. 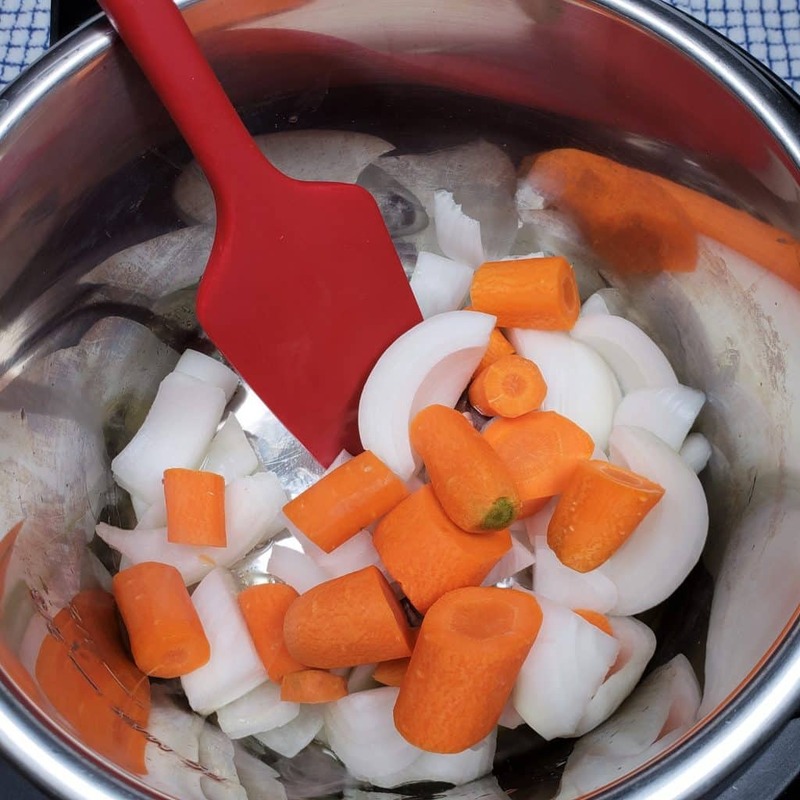 Rough chop carrots and onions and add them to cooking pot. Mince garlic and ginger and add to cooking pot. Mix in salt, pepper, Tonkatsu sauce, chocolate (or 2 adds in of your choice). Mix curry blocks into the liquid and stir, until the curry is well blended and the sauce has thickened. Dump in chicken and mix through. Drain potatoes and add to pot and cover with chicken broth. Sink curry blocks into broth. Rinse rice well and add to rice pan. Add water. Place trivet into pot and place pan of rice on top. Remove the pan of rice and fluff. Serve curry over rice. Step number 5 says to remove the lid. I don’t understand why the lid is on at this point. I think you need to correct your instructions.